Dallas based law firm The Law Office of Nick Nemeth founder Nick Nemeth corrects some of the most common myths about the IRS. Dallas, TX –August 22, 2014– A new article written by Nick Nemeth, who is the founding partner for The Law Offices of Nick Nemeth, has been published online at his website. 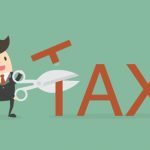 The title of the article is “Don’t Get Suckered: Five IRS Myths Exposed”, and it covers a number of common IRS myths that many taxpayers may believe. It is not an unhappy coincidence that the IRS has a reputation for being the agency of the government that is least popular and most hated by US citizens and taxpayers. There are many powers that the IRS has available to make any taxpayer completely miserable, but this agency also depends on many myths that taxpayers mistakenly believe as well. To make matters worse there are several false tips and incorrect strategies that taxpayers may also believe. The latest article from Nick Nemeth exposes the false information and myths that are out there, helping taxpayers understand what the IRS is allowed to do and what they can not. 1) It is not true that the IRS is unlimited in the ways that they can try to collect from taxpayers. This agency does have many powers that they can use. 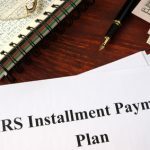 The IRS can seize property and other assets, take part of your paycheck or other wages with a garnishment, and even freeze any money that you have in a bank account. Sometimes you can even be charged with criminal offenses because of the IRS. 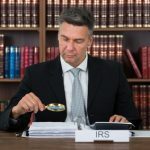 The powers of IRS agents must follow a certain due process though, and the agency does have to follow rules and laws that are in place to protect taxpayers. An experienced tax attorney will make sure that the IRS does not cross the line and that your rights are protected every step of the way. 2) Many people believe that it is impossible to avoid paying the amount that the IRS claims you owe or the full tax bill that you have claimed on your tax return. IF every single taxpayer paid all of the taxes that they owed in full the IRS would be one happy agency, but this is not reality. There are alternatives available to taxpayers but the IRS will not advertise these programs to you. A qualified tax lawyer can help you determine your options and alternatives, and even assist you in any necessary paperwork. 3) It is not possible to get away from the IRS by moving to another state, or even relocating to another country, yet many taxpayers believe that they can escape the IRS this way. It is never recommended to try and outrun the reach of the tax man, the IRS will only get more aggressive and you could end up facing a jail or even prison sentence as a result. Remember that as an agency of the US Government the IRS agents can access all of your personal and employment information and find you almost anywhere in the world. 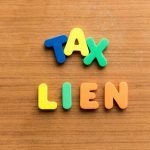 A tax attorney who is qualified will help you find a better way to resolve an IRS tax dispute instead. The Law Office of Nick Nemeth assists taxpayers who have IRS disputes. The legal team of professionals works closely with business owners and individual taxpayers in order to resolve any controversy with the IRS. Nick Nemeth has over a decade and a half practicing tax law, and he also writes top selling publications in his spare time. Nick specializes in protecting people and companies from abusive IRS tactics and methods, and often can help clients pay less while resolving problems with the IRS.